Prime Minister Justin Trudeau made several changes to his cabinet this morning in what is likely the last shuffle before the 2019 election. While the PM warned against reading into the shuffle, several of the changes made were far from benign. 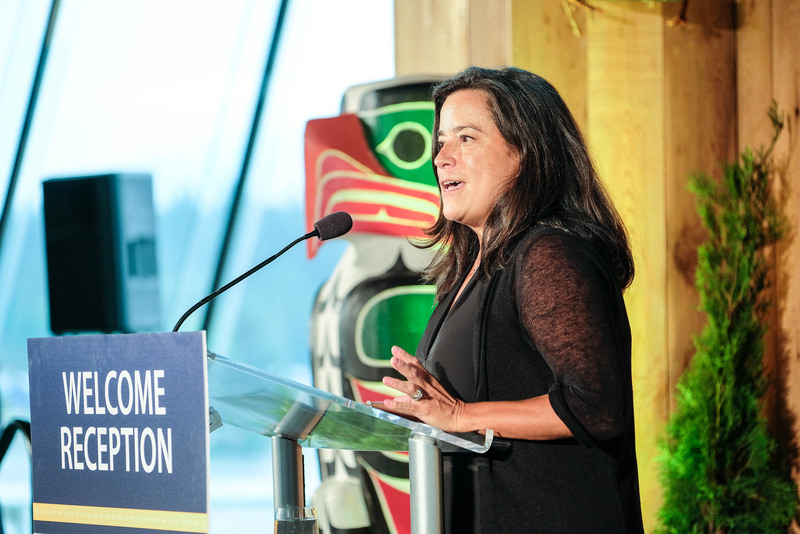 Perhaps the most major smoking gun was the removal of Jody Wilson-Raybould from the Justice Portfolio. While being removed from such a large portfolio already begs the question of a demotion, the dynamics of this specific shuffle make it even clearer that Wilson-Raybould’s removal was not an innocent transfer. Wilson-Raybould was not only removed from a high-profile portfolio; she was moved to an incredibly minor one. Despite claiming that the Veterans Affairs portfolio is “an extremely important role,” minister Wilson-Raybould certainly knows it’s not a portfolio given as a reward. If the move to Veterans Affairs wasn’t insulting enough, Wilson-Raybould was replaced at the Justice Department by a complete rookie. While newly appointed Justice Minister David Lametti boasts an impressive CV, he is far from a political veteran. So, what did Jody Wilson-Raybould do to deserve such a damning demotion? It’s not an easy question to answer. When asked whether the shuffle was a demotion, Wilson-Raybould insisted that her record as Justice Minister should lead Canadians to see otherwise. However, the achievements that she listed largely concerned fringe issues like impaired driving and family law, omitting discussion of the more central debates like pipelines and Indigenous sovereignty. Perhaps, then, Wilson-Raybould has disappointed the Prime Minister on these more visible issues – topics which could decide the 2019 election. Although possible that Wilson-Raybould was being effectively fired for unsuccessful performance on prominent political issues, there may be something else at play. Perhaps Wilson-Raybould’s failure to keep her portfolio represents not an inability to carry out Trudeau’s legislative agenda, but an unwillingness to do so. The statement released by Wilson-Raybould following the cabinet shuffle included two key components: a very short celebration of her new role; and a lengthy defense of her time as Justice minister. Could this hint that butting heads with the Liberal political agenda was a reason for her departure? Wilson-Raybould spends several paragraphs of her statement taking indirect jabs at the Trudeau government, arguing that “long overdue legislative and policy changes based on the recognition of title and rights” are “urgently needed.” She goes on to say that the government has taken “some” very important steps, but that “the necessary shifts have not yet been fully achieved.” Clearly, Wilson-Raybould is not overly impressed by her government’s work on Indigenous affairs – a portfolio about which she deeply cares. Wilson-Raybould ends her statement by saying she will “continue to be directly engaged” in advocating for Indigenous rights. Most strikingly, she promises to “ensure [her] voice is heard.” Such an assertion would be unlikely for a minister who feels her expertise has been respected by the Prime Minister. The exact reasons for Wilson-Raybould’s evident demotion remain unclear, but the evidence suggests that a nasty power struggle between the PM and the minister are part of the equation. Although the change in the Justice portfolio was the biggest story of the day, several other shifts were also made. Former Indigenous Services Minister Jane Philpott was appointed the president of the Treasury Board, following the departure of MP Scott Brison whose announcement that he would not seek re-election prompted the entire shuffle. Jane Philpott was in turn replaced by Seamus O’Regan who was formerly the Minister for Veterans Affairs. Removing O’Regan from Veterans Affairs makes sense, considering the recent controversy over his insensitive – or at least unthoughtful – comments about veterans. Moving him to Indigenous Services could be a risky move if O’Regan has another lapse in judgment at the expense of an underserved part of the Canadian population. Finally, rookie Bernadette Jordan was brought in as minister of Rural Economic Development. Jordan now replaces Brison as minister hailing from the Atlantic provinces. Despite Jordan’s best efforts to refute the notion, it is clear that her portfolio was created to help the Liberals hang on to rural maritime seats in the rapidly approaching federal election. While creating the Rural Economic Development portfolio and filling it with a Maritimer was clearly a wise political move, the consequences of the other shuffles are more uncertain. Demoting an Indigenous minister from a high-profile position is not a good look for a government that has dramatically dropped the ball on its campaign promises regarding reconciliation. The Prime Minister’s thinking behind this move is difficult to understand but is likely motivated by the accurate realization that the key threat in 2019 will come from the right – not the left. The PM may thus have made the calculation that quashing insubordination is worth the cost of losing a few votes to the NDP – votes which are unlikely to matter within the unchanged electoral system. That being said, the PM’s move is still a gamble. Removing Seamus O’Regan from Veterans Affairs makes sense, but transferring a messy politician from one politically sensitive portfolio to another is dangerous. Hopefully, O’Regan has learned from his slip-up at Veterans Affairs, because the political consequences of insulting Indigenous voters could be much worse. Although partial cabinet shuffles are often relatively benign events, this morning’s shakeup is worthy of our attention.